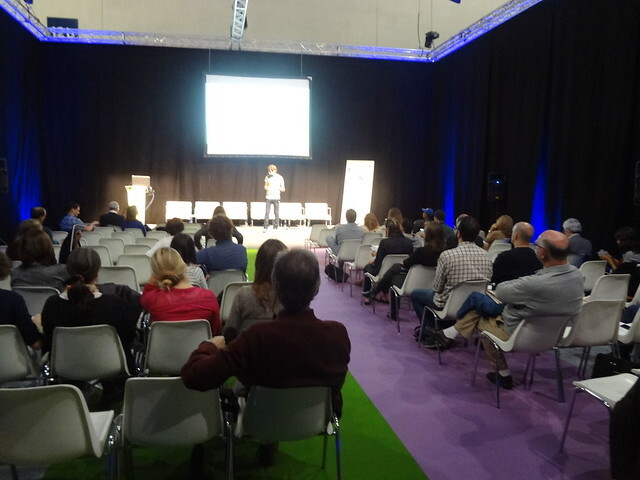 Project Based Learning (PBL), Flipped Classrooms and tools and technological solutions to serve the educational innovation will be, once again, the focus of SIMO Education organized by IFEMA from 10 to 21 October 2016. There will be found both companies and public entities in the sector where innovation proposals will be made at all educational levels. eMadrid participate this year with a session titled "Teaching in a world of abundant resources" on Thursday, October 20 in the Aula Magna of 10: 30h to 11: 30h. Currently there is no shortage of educational resources. There is a huge abundance, not just in content itself, but teaching practices available through videos and interactive applications: open educational resources (OERs), massive open online courses (MOOCs), educational websites, youtube channels, etc. How should university education in this open context? Does it make sense to base teaching in an industrial model of pure transmission of knowledge? What experiences are there in Spain on MOOCs? How can affect classroom teaching? What should be taught and how? What role does computational thinking? In this context of open content, is there a process of improving the delivery of teaching in class? In this session, organized by eMadrid net, several case studies concerning these issues will be presented.